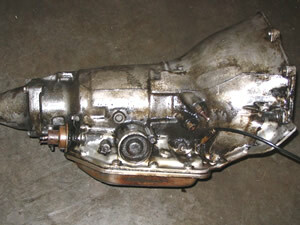 There are many areas to consider when restoring the driveline of your vehicle. There are also many options. Factory original or we can enhance your driveline in both performance and appearance, such as chrome packages, exhaust headers and more. Whatever your engine needs Last Chance Auto Restore can provide the power and performance you require. 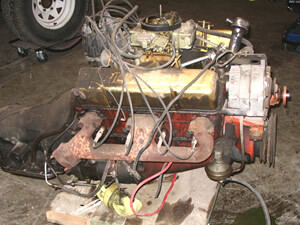 This first set of photos show a late 40's and early 50's Chevrolet vehicle motor. 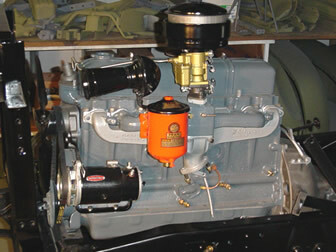 Note the detail of this refurbished motor. 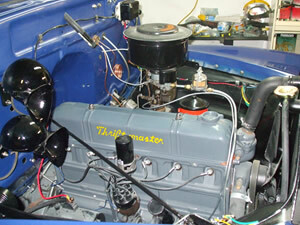 It includes the original THRIFT MASTER decal, open ended spark plug wires and oil breather. Look closely and you will see the very rare glass-topped inline fuel filter, refurbished inhouse by Last Chance. 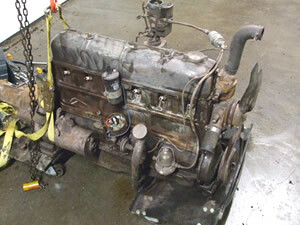 This first set of before and after photos shows a mid 1970's 350 V8 General Motors engine. 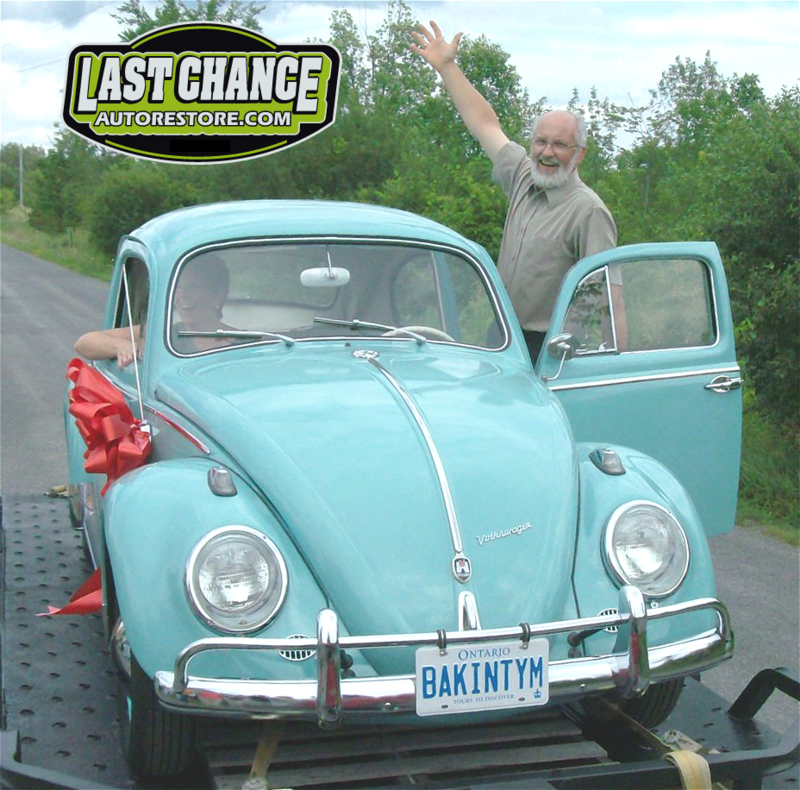 Amazingly enough, this photo is the above engine and transmission after being refurbished inhouse by Last Chance Auto Restore. 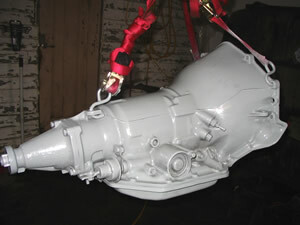 This photo is a General Motors Turbo 350 automatic transmission ready for restoration and paint. 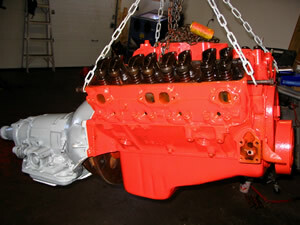 This photo depicts a completely freshened transmission to factory specifications.